Defense attorney Richard Wall wasted little time Tuesday morning lambasting the state’s evidence as a “complete fabrication,” as he delivered opening arguments in the attempted murder trial of a career criminal and admitted gang member. His client, Stafone Fuentes, sat to his left wearing a dress shirt and tie, his long hair pulled in a tight ponytail, staring forward with only his family seated behind him in the courtroom. With each declamatory phrase Wall delivered to the jury of 11 women and three men, Fuentes’ family members raised their eyebrows as if surprised. Prosecuting attorney Kyle Treece objected at times – a rarity in opening arguments – saying the statements were unfounded. The judge overruled, and Wall continued. Fuentes, 33, is accused of attempting to kill 41-year-old Titus Davis and his friend, Lamont O’Neal, as they sat in a car parked across the street from the Knitting Factory music venue in February 2013. Prosecutors say Davis was shot at eight times and suffered multiple wounds that required a two-week stay in the intensive care unit at Providence Sacred Heart Medical Center. O’Neal received minor injuries from a single gunshot wound. Fuentes was already tried for the shootings in January, but a jury deadlocked, prompting a judge to declare a mistrial. Rather than focus on motive in his opening argument, Treece presented an overview of a short list of witnesses who put Fuentes at the scene, despite both sides agreeing that nobody actually saw him shoot the two men. 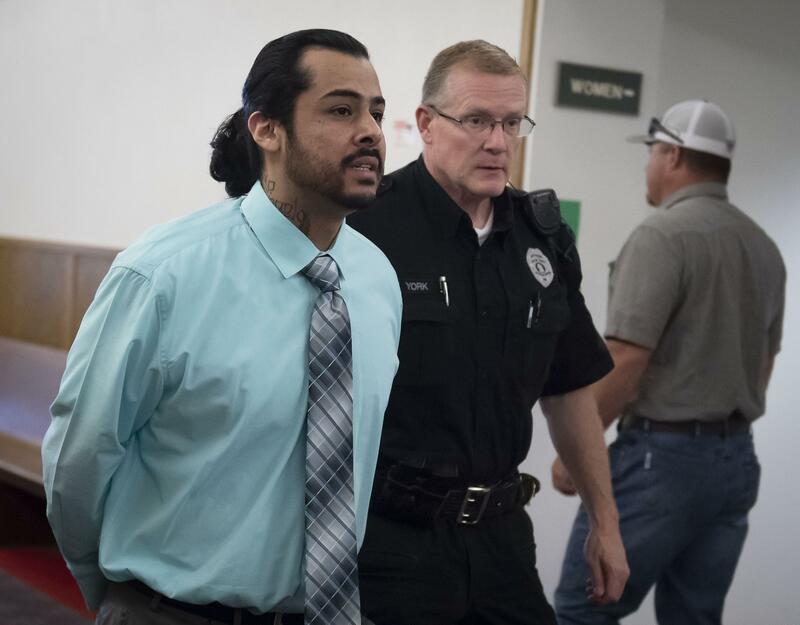 A break in the case occurred when a confidential informant – referred to by attorneys only as Edmundo – told detectives about a year after the shooting that Fuentes had admitted to it, even going as far as to laugh when retelling the story and expressing regret that Davis didn’t die. The informant also was able to describe the type of gun Fuentes used, which matched the type of bullets found at the scene, according to the prosecution. But Wall implored the jury to question the state’s witnesses, specifically their motive for testifying on behalf of the prosecution. He said Edmundo, the state’s key witness, was paid for his testimony – and other witnesses, including friends and the defendant’s ex-wife, were given reduced sentences for agreeing to cooperate. Wall further asked them to question the timing of witnesses coming forward. According to court records, the case was stagnant until Edmundo gave detectives new information after Fuentes was arrested in a federal drug investigation in 2014. Once they had a witness, Wall said, prosecutors charged Fuentes and his then-girlfriend Staci White as an accomplice. Knowing she could get out as a suspect, Wall said, she then turned on Fuentes and rather than offer any new information, gave detectives the same story and information the informant had. The trial is scheduled to take two weeks, though attorneys say it’s likely it will be over before the sixth day. Fuentes is serving time on the federal drug charge and a separate federal drug conviction. He’s also the only suspect in the shooting of then-26-year-old Julian Morrison outside of another music venue in September 2013. Published: June 19, 2018, 9:07 p.m. Updated: June 19, 2018, 10:10 p.m.